coBuilder CoBuilder Bulgaria is a subsidiary of the Norwegian company coBuilder which has more than 18 years of experience developing software solutions for the construction industry. coBuilder offers software products that enhance information and documentation management for construction products and hazardous chemicals complying with both European legal requirements and green market requirements. The product portfolio of the company features a variety of BIM-enabled tools and software. Djingov, Gouginski, Kyutchukov & Velichkov Djingov, Gouginski, Kyutchukov & Velichkov (DGKV) is one of the largest, oldest, and most prominent business law firms in Bulgaria and provides first-class legal services. Founded in 1994, the firm currently employs 50 lawyers, including 15 partners, and maintains offices in Sofia and Berlin. FRAM CREATIVE SOLUTINS Innovative, smart, inspirational, FRAM offers complete bespoke solutions that meet all your creative design, digital content and event management needs – and then goes the extra mile. At FRAM, we understand that brand awareness, brand loyalty, added value and user experience (UX) are at the core of successful business. We put all of these are the heart of everything we do as we plot the course of your next journey together. From logo and website design, corporate rebranding and social media campaigns to product launches, public events and business conferences, we take care of every detail so that you don’t have to. UX is our USP. And we know it works … FRAM’s staff are all experts in their field. Between us we have 100 years of professional experience in digital design, event management, marketing, customer loyalty, content development, social media campaigning. We know how it works and we know how to make it work better for you. Green Business Norway Green Business Norway (GBN) is a professional member-based organization for the Scandinavian Cleantech Industry. The role of GBN is to act on behalf of enterprises in the Environmental Energy & Technology sector and to contribute to innovation, international cooperation and project development on behalf of its member businesses. The main focus of GBN is to introduce Scandinavian best Cleantech practices and establish cooperation projects with counterparts in the international markets. Haiteck Production of eco pellets and briquettes from waste wood. HEC At HEC we build and operate solar power plants around the globe. Based on our experience, we are able to build multi megawat solar plants from scratch in places that never experienced solar before. In that way we contribute to transforming solar into more affordable, economically sound, safe, and sustainable instrument to combat climate change. We save time and resources giving us a better chance against climate change. ICB-InterConsult Bulgaria For two decades, ICB has been helping businesses in Scandinavia, Western Europe, and the US become efficient and perform better through technology. We are an innovation partner and software delivery center that enables customers to turn their engineering know-how into mission-critical projects, and reduce costs for core product development. In 2013, ICB was nominated Bulgaria’s Innovation Hub by the Bulgarian Presidency. In 2011, the company was awarded with the Seal of e-Excellence at the CeBIT conference, and given the prestigious Channel IT Company of 2010 award. INVISE 8INVISE is a dynamic management consulting company, providing solutions in the area of management, strategy, EU projects, marketing and cluster development. We are passionate about business, that’s why we look on every business case from a chief executive's perspective, but keeping our unique consultancy vision based on our experience, pursuit of knowledge and constant drive for advance. INVISE has s tailor made approach, 360 degree solutions to develop your business and to leave a sustainability track. Kinnarps Kinnarps is a 100% family owned enterprise, founded in 1942. About 2400 people work in the group. Kinnarps has a total of seven different production plants, six in Sweden and one in Germany. Kinnarps provide interior workspace solutions for offices and public environments. High quality and low environmental impact mark the entire chain – from raw material to finished solutions for the workspace. Kinnarps is currently one of Europe’s largest provider of workspace interior solutions, creating effective and inspiring environments. Sales operations are conducted in about 40 countries. KVS AGRO BULGARIA KVS Agro Bulgaria is 100 % private company, established in 2000. The main scope of activities is import and distribution of mineral fertilizers for the agriculture. Since then KVS Agro is distributor for Bulgaria for some of the largest fertilizer producers in the world – Yara - Norway, K+S Kali - Germany and ICL Fertilizers – Israel. Currently for KVS Agro are working 35 employees. LINK Mobility LINK Mobility Group is Europe’s leading provider within mobile communications, specializing in mobile messaging services, mobile solutions and mobile data intelligence. The Group offers a wide range of scalable services and solutions across industries and sectors due to the growing demand of digital convergence between businesses and customers, platforms and users. LINK Mobility continues to experience strong organic growth with a high degree of recurring revenue as customers tend to move more business activities onto the mobile platforms. LINK Mobility had a total proforma turnover of 1,75 billion NOK with offices in Norway, Sweden, Denmark, Finland, Latvia, Estonia, Bulgaria, Germany, Spain, Poland, France, Switzerland, Austria and Italy. LINK Mobility has more than 20 years of experience within mobile communications and has over the years become a central player in this market. Loren Networks Loren Networks is an innovative company which offers integrated solutions in the field of Information and Communication Technology and Energy sectors. The company is representative and authorized distributor of Eltek, a world leader in high-efficiency power electronics and energy conversion and is an Authorized Enterprise and Service Partner of Huawei according to Enterprise Chanel program. Loren Networks develops innovative cable control system for monitoring and protection of Telco cables and networks. The company has a dynamic sales team and channels with professional telecommunication experience and knowledge in the market, covering the whole country. Natchev & Partners Law Firm NATCHEV & Partners Law Firm is providing legal services in the field of corporate law, merger and acquisition, investments, privatization, real estate, labor law, international public and private law, litigation and arbitration. The Law firm is servicing the diplomatic representatives of Nordic countries in Bulgaria, as well as other foreign corporate clients and individuals. NATCHEV & Partners is member of Cyrus Ross - European Group of law firms – www.cyrusross.com. Nordic Recruitment & Consulting Nordic Recruitment & Consulting offers language recruitment and business consulting, both with strong Nordic focus and reach. Nordic Recruitment & Consulting is the leading source for all Nordic speakers (Finnish, Swedish, Danish and Norwegian) in Bulgaria. Having long experience in recruitment we value above all those things that make us successful because of our clients, candidates and partners success: trustworthiness, good communication, Can do-attitude, finding solutions, being flexible; being available. We also have genuine passion for what we do. Contact us any time and you will receive a prompt reply with already proposed solutions for what we can do for you! 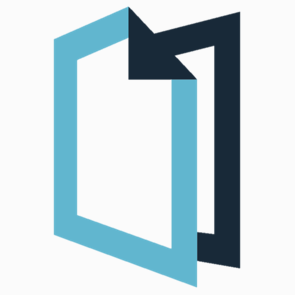 PETEBOSS OOD PETEBOSS is a consultancy company based in Sofia and specialized in providing business development, human resources, marketing, sales and interim management services in Western Balkans and CEE. We base our business on knowledge of local markets and environment. We feel strong in business development for western companies that want to develop their business in our region. We can provide full range of services from setting up, management, recruitment and staffing, training, market research to marketing and sales. 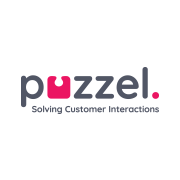 Puzzel Puzzel (formerly Intelecom’s contact centre entity), a Gartner recognised provider of omni-channel contact centre solutions, can help take customer interaction to another level. - On-line banking and rapid exchange of information with customers electronically. TAD GROUP TAD GROUP LLC is a cybersecurity company, founded in 2014 in Newport Beach, California. Servicing companies nationwide, the majority of our clients are mid to large sized business from different industries which require a high level of information security and data protection. Ranging from governmental to the private sector including banking, biotech, healthcare, and more our current reference list is vast. Combating potential cyber attacks using ethical white hat standards is the very first line of defense in the new digital frontier of cyber protection. The Bulgarian branch of TAD GROUP INTERNATIONAL LTD, which was founded in 2016, was the first company in Bulgaria to specialize in providing global cybersecurity and information protection solutions. In 2017, the first services related to Regulation (EU) 2016/679 (or better known as GDPR) became part of what we offer as additional services to our European customers. Our services allow our customers to understand their vulnerabilities prior to an actual breach. Telenor Telenor Bulgaria is a leading telecommunication company with 3.8 million active subscribers in Bulgaria. As of September 2015, the company’s services are available to 99.98% of Bulgaria’s population, covering 99.5% of the country’s territory, and Telenor UMTS network covers 99.94% of the population. By November 4, 2014, the company operated under the GLOBUL brand. Since August 1, 2013, it has been a part of Telenor Group which operates in 13 countries in Europe and Asia and has over 196 million subscribers. TESY Founded in 1990, TESY is a leading innovative company specialized in the production of electric water heaters up to 200 l, enameled and not enameled indirect cylinders up to 2000 l and household heating appliances. Keeping its focus on the European market, the company is presented on the markets of more than 50 countries on 5 continents. United Partners United Partners provides strategic counseling, corporate reputation, brand communications, event management, public affairs consulting and digital communications. Being an affiliate of some of the world leading PR networks and thanks to their experience and support, as well as to the great UP team, they offer their clients an in-depth analysis, individual approach and excellence in implementing their campaigns. 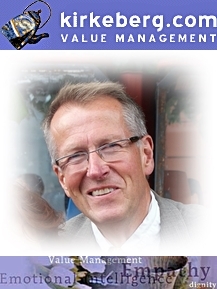 Value Management and Emotional Intelligence Value Management and Emotional Intelligence is a single person company (Registered 1992) owned by Bjørn Eirik Kirkeberg. Bjørn Eirik Kirkeberg has a Master in Pharmacy from University of Oslo, Norway in 1983 and 20 years of experience with freelance lectures and seminars into the fields of communication and emotional intelligence as well as 25 years experience as compliance officer for the pharma industry. The Norwegian-Bulgarian Business Group was established in 2015 as a non-profit organization with the support of Norwegian Embassy in Bulgaria and Telenor. The purpose of the Business Group is to support and protect the economic interests of its members and to assist their development with knowledge, networking and know-how. Other main activity is related to strengthening the Norwegian-Bulgarian business relations and encouraging the bilateral economic activities. The vision of the organization is to represent, address and support not only the needs of Norwegian companies in Bulgaria but also Bulgarian companies that work in Norway, and any other member company, no matter size of the business. The NBBG provides consultations, services, networking opportunities and organizes special events, round tables and business conferences. The governing body of the Norwegian-Bulgarian Business Group consists of 5 people, which represent the Norwegian and Bulgarian business. The Norwegian-Bulgarian Business Group is open to all legal/physical individuals or entities which participate in the economic life of Bulgaria and share the common principles of the Group.